KEDI awards 47 brand new cars and 7 houses to its marvelous distributors. According to Pearl Buck, The secret of joy in work is contained in one word - excellence. To know how to do something well is to enjoy it. What a great business incentives by KEDI HEALTHCARE to their outstanding distributors. A total of forty-seven cars and seven houses were presented to distributors for their hard work, consistence and marketing prowess. The event took place on 23rd June, 2012 at Jogor Event Centre, Ibadan, Oyo State. Kedi is a company that provides health and wealth for millions of people by making them become owners of business outfits. To become an international consultant with Kedi, you need only N2,200 (Two thousand, Two Hundred Naira Only) which qualifies you to have your identity card and educative manual for you to start your own business outfit. 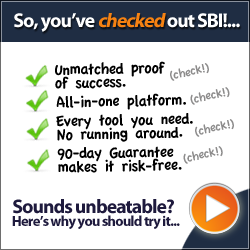 As you purchase products you accumulate point values for yourself. As your point rise so does your status. By the time you have secured 250 points you become a star 3 consultant which qualifies you to start earning 20% bonus for monthly achievements. As you buildup downlines through more sponsorship so also does your direct bonus percentage increase from 25% for star 4, 30% for star 5, 35% for star 6, 40% for star 7 and 45% for star 8. There are honorary business awards ranging from cars, leadership bonus, company global profit and a villa. Other business training holds every Tuesday and Thursday at Ikeja by 10.00am. In attendance for this year’s success motivation - car award presentation was the President, Kedi Healthcare - Mr. William Zhao, Assistant Director of NAFDAC, Ibadan zone - Mrs. E. M. Amuta who represented the DG NAFDAC - Dr. Paul Orhii, President of Fidson Healthcare - Mr. Fidelis Ayabae, Kedi Company lawyer - Mr. Akinyele Oladeji, Dr. Fai Fominyen Ngu Edward, the President of the promotion of Traditional Medicine Association of Africa and other dignitaries. Mr. William Zhao, the president of Kedi gave a heart-warming opening speech to officially set in motion the event. He went ahead to thank and encourage the awardees for their hard work and consistence in the business. He promised to introduce more effective products to Nigerians that will guarantee good health. In the area of job creation, he enjoined all and sundry to embrace Kedi business for a sustainable future. The President of Fidson – Mr. Fidelis Ayabae and Dr. Fai Fominyen Ngu Edward gave a short speech on the positive impacts of Kedi business to Nigerians and Africans at large. Mrs. E.M. Amuta also advised all who were present at the event to join hands with Kedi to eliminate diseases, poverty and unemployment in Africa continent by introducing more people to partner with Kedi for a desirable and fulfilled life. Business (recognition) awards and houses were presented to Mr. Emmanuel Ekpo, Mr. Sunny Ojiaku, Mr. Ifeanyi Nwogu, Mr. Moses Egbeniyi, Mr. Joseph Akpile, Mr. Anyaku Emmanuel and Mr. Rich Adiele. Most of them spoke with glee for this life changing success motivation award. Entertainment was not left out as Miss Hanaya and her Taichi group thrilled the audience with their artistic display of Taichi. Other categories of gifts that were given are the best service centre, fast rising service centres, excellent distributors and excellent lecturers including a raffle draw which the star prize of a 32” LCD television was won by Omowunmi Oyediran from Osun State. At the end of the ceremony, ecstasy filled the air as everybody especially the car awardees were very happy. 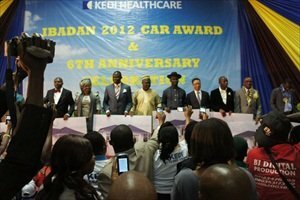 Kedi has done similar award event in Lagos and Onitsha where more than forty (40) cars were presented to hard working distributors. The Govenor of Anambra State, His Excellency, Govenor Peter Obi and the then first lady of Oyo State, Mrs. Kemi Alao Akala were in attendance.